As an excitable instagrammer, I realised I use instagram quite a lot more than I blog. So I think it’s time to introduce a regular weekly post – instagram catch ups. This means that the first one of these posts is going to be my instagram greatest hits so far – and in future I’ll update on my activity between posts! 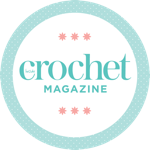 Are you ready for a cats and crochet overload? Let’s go! I’m feeling all misty eyed now! Are you on Instagram? If so, leave your username in the comments – I’d love to find more people to follow!